You searched for ESL programs in Michigan. 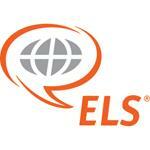 Below you will find a listing of all ESL programs in Michigan - click on any program to view more information, or refine your search within Michigan by city. Most states have many English as a Second Language programs, with schools and locations offering ESL programs and locations to suit every need. Please use the form below to refine your search even further and find an ESL program in Michigan that is right for you! The MLC is located in the center of Ann Arbor. It is adjacent to the University of Michigan's campus and the main shopping area. Low beginning to very advanced levels of English; all skills including speaking, listening, writing, reading, American culture, vocabulary development, TOEFL preparation, and academic English.